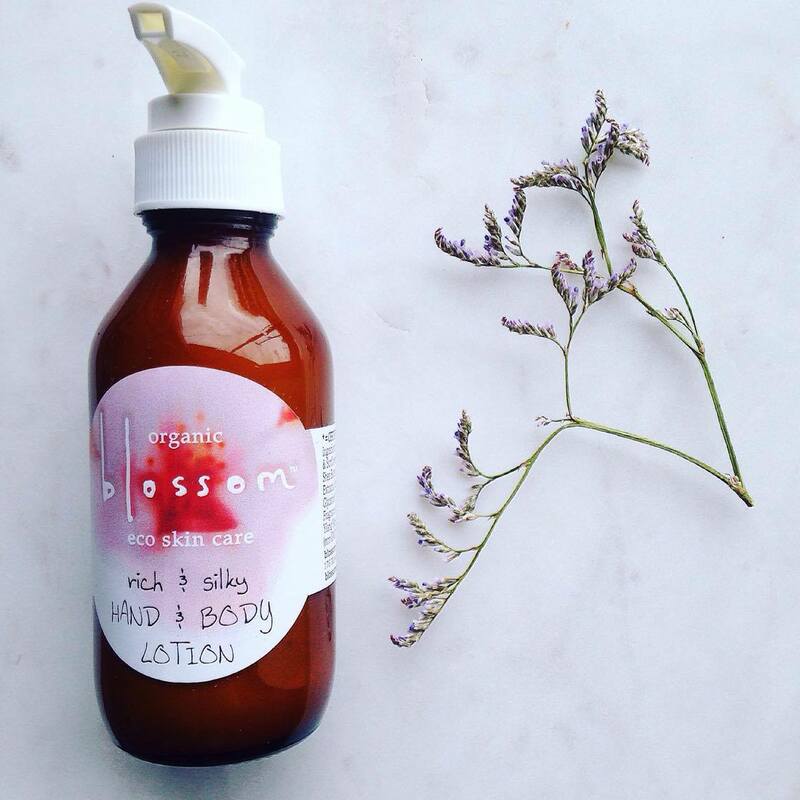 Review: Blossom Hand and Body Lotion & Intro to Orli Online Boutique! 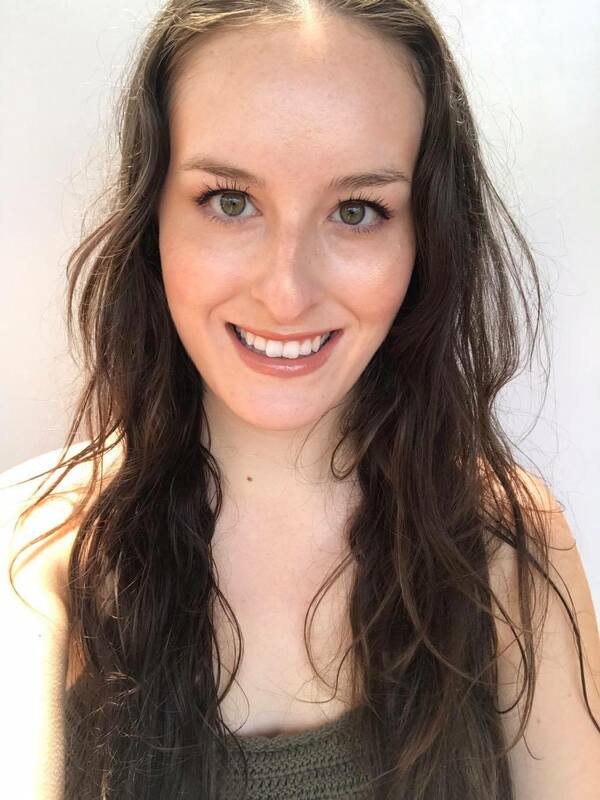 I was recently introduced to Orli The Natural Beauty Company through Instagram. 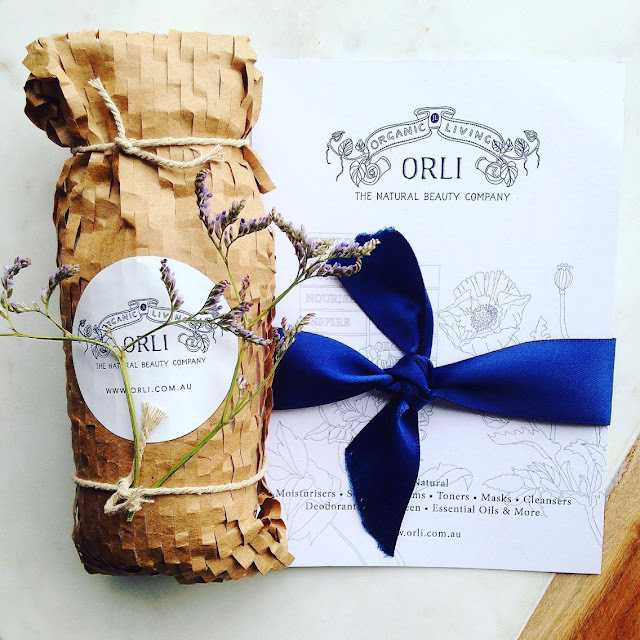 Orli is an newly launched Australian beauty boutique founded by Jo. Jo created Orli to expand beyond just skincare. She wants to empower women of any age to love their own beauty...the beauty they are born with. Orli's perception of beauty is not about anti-ageing or perfect skin. Orli want to spread the philosophy that true beauty is healthy, intelligent and kind. Jo has a vision for Orli to become an ethical beauty hub where we celebrate the natural beauty of individuals and our planet. In turn we give back to our beautiful planet and we spread some beautiful values. Orli donate 10% of all sales to kind causes, which I love! This month they are pledging 10% to the 1 Million Women foundation, which you can find more about here. You can also be sure that every product sold at Orli is cruelty-free, vegan, and planet friendly. Most products are organic and all are free from petrochemicals, SLS's, mineral oils, PEGs, nanoparticles, parabens, fillers, carmine, artificial flavours and fragrances. I also have to mention that receiving a package from Orli is like receiving a present. Everything is so beautifully wrapped. I mean, how gorgeous is this?! 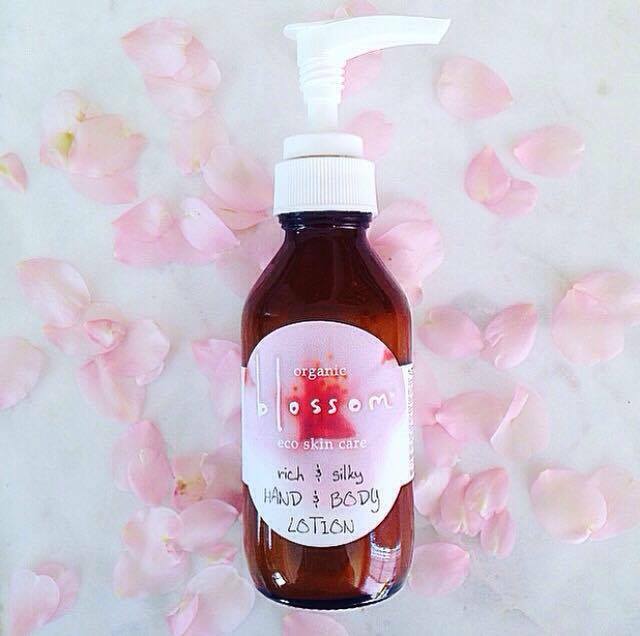 Orli were lovely enough to send me a bottle of Blossom's Hand and Body Lotion to try out. Blossom is a new to me brand. I was excited to see that they were a cruelty free Australian brand, and free of synthetic ingredients. I love the brown glass packaging with the white label. This would look perfect displayed on a kitchen counter or bathroom cabinet. Blossom's Hand and Body Lotion is filled with so many beneficial ingredients for the skin. 96% of all ingredients are certified organic and it is 100% vegan. Blossom uses rose hydrosol as the base for this lotion, forgoing water in the formulation to give you a more concentrated lotion for your dollar. This rose hydrosol retains the full therapeutic properties of the rose, and providing your skin with benefits such as anti-ageing properties, soothed skin, and hydration. This lotion also contains macadamia, which is emollient, moisturising, anti-ageing and similar to the oil naturally produced by our skin. It leaves skin velvety smooth and is beneficial on scar tissue and sunburn. Sunflower oil also features high on the ingredients list, and benefits the skin with its high levels of vitamin A and E, essential fatty acids, and regenerative qualities. Shea nut butter is rich in vitamins and nutrients, and offers amazing hydration and protection from harsh weather conditions. Blossom's lotion also contains calendula which is super soothing, anti-irritant and suitable for the most sensitive skin. Chamomile and comfrey soothe and calm the skin, and have anti-inflammatory properties. This is quite a thin lotion in consistency, but it is deeply hydrating and nourishing. It hydrates my parched skin quickly, and with no greasiness or oiliness. I love the silky texture of this cream and find it is perfect for all over my body, and is a great light lotion for my hands during the day-time. Blossom's Hand and Body Lotion has a beautiful light citrus and vanilla scent, owing to the sweet orange, lime, and ylang ylang essential oils, and the natural preservative (vanilla and almond extract). 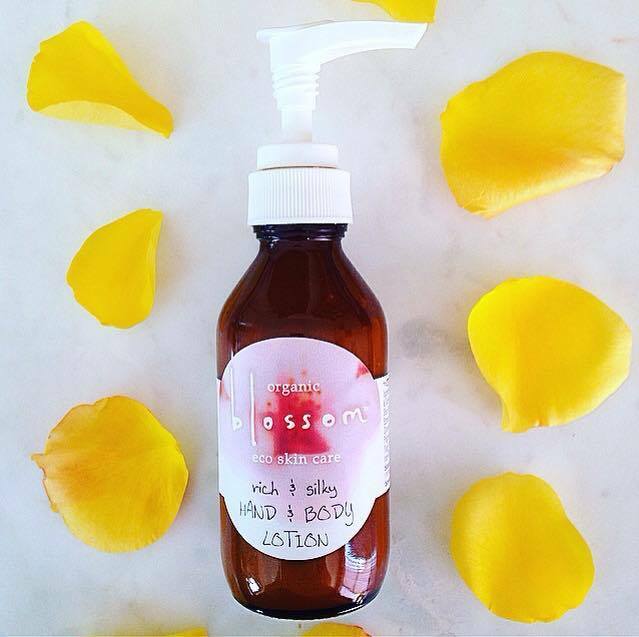 Check out Orli's beautiful website, and purchase this lotion by Blossom here.